Elisa Luu Rocking The US College Radio Charts! 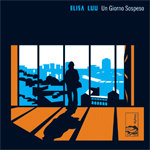 Elisa Luu’s stunning new album Un Giorno Sospeso continues to impress in the US as it takes its place in the Top 30 and specialty charts at a range of US college radio stations. Here’s a sample from the last few weeks – 9 on the WCBN Top 30 chart, 4 on the CJSW Experimental Chart, 3 on the Ashville FM Experimental chart and 25 on their Top30, 27 on the KDVS Top 30 charts, 10 on the CFRU Electronic chart, 8 on the CHUO Electronic chart. We’ll post more as we hunt them down! Un Giorno Sospeso is available now as a limited edition CD (with immediate FLAC or MP3 download) as well in most digital formats including lossless. Head to the Hidden Shoal Store for all details including the freely downloadable single ‘Se fosse per me…‘.